Born 13.03.2005. White and liver spots. Zena is out of our A-litter. BAER +/+, all teeth, HD A/0. She is 55 sm and 25 kg. Zena is a very elegant female with beautiful head and expression. She is with balanced temperament – active outside and calm at home. Her easy-going and soft character makes real pleasure to own this dog. 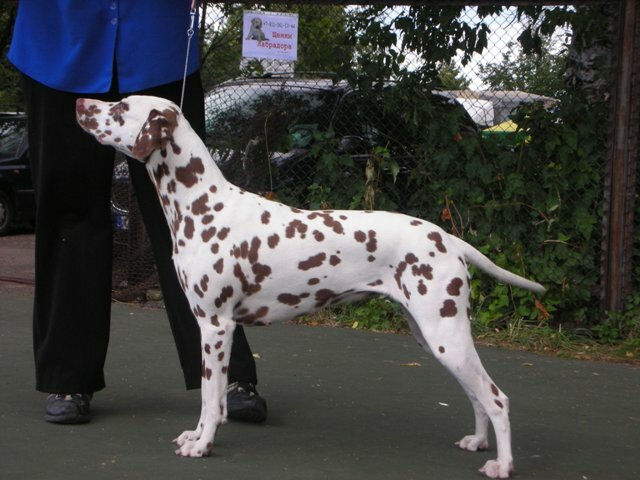 Zena`s father is Interchampion, Multichampion Zabavan Uzenii (HD BB, BAER tested). Uzenii is living in Finland with Niina Laine in her wonderful kennel. Zabavan Uzenii father is famous Jilloc`s a Man in the Mirror. 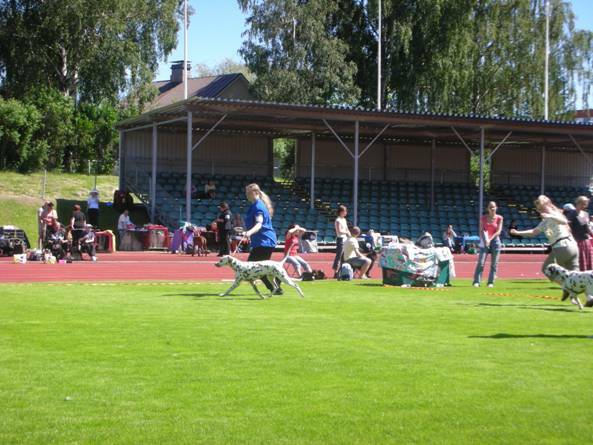 Moving Zena on show in Finland.